When it’s too good to be true, it usually is. 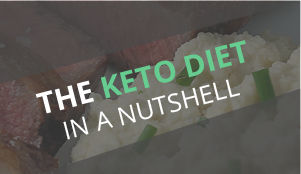 I’m not in the business of mucking with my macros and breaking things into 24 or 30 slices, I’m in the business of enjoying the food. 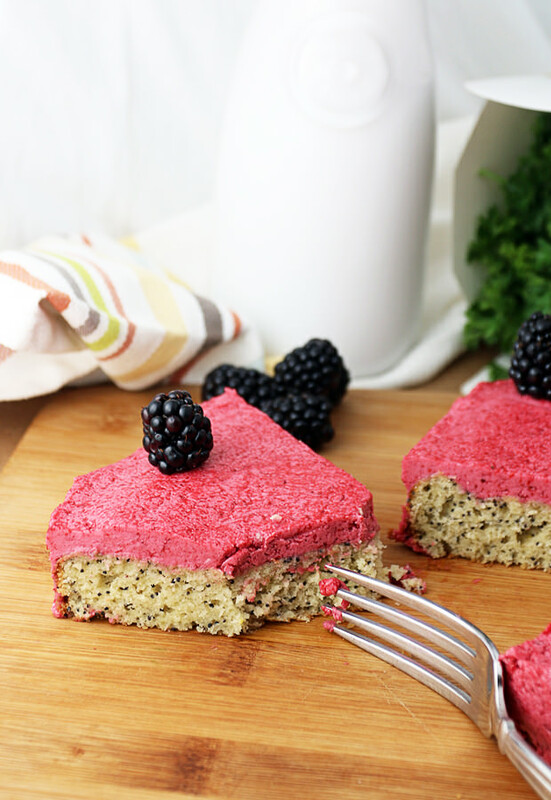 This cake will make 8 slices – each slice being 4.7g net carbs and filled with awesome fats! 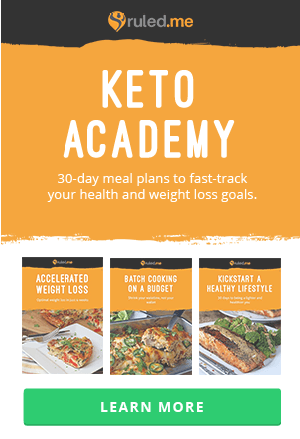 Who wants to only eat a sliver of cake, anyway? You may notice that the cake batter looks familiar. Well, it’s the same recipe I used for the Cinnamon Sugar Donut Muffins! This batter will be used by me for a long time, as it’s one of the best, most moist cakes I’ve made in the past year and a half of baking. 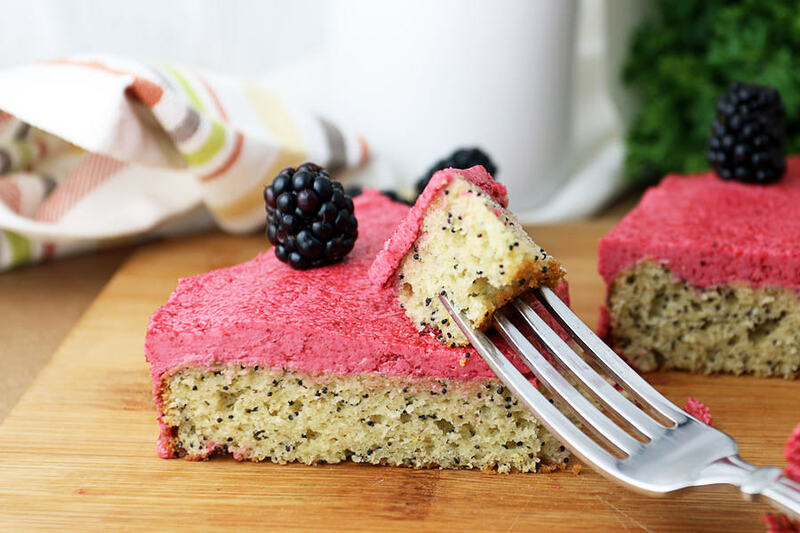 It doesn’t fail here, either, bringing a deliciously moist cake that’s filled with poppy seeds and the faint aroma of lemon. 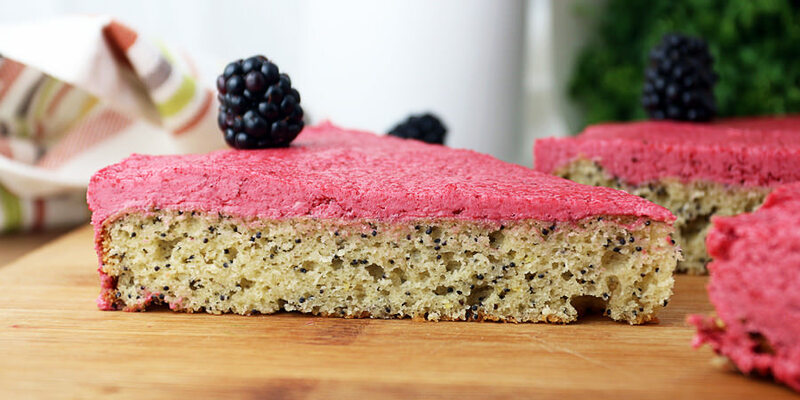 When you add the icing in, you get a burst of sweet and tangy blackberry with a finish of lemon that you just don’t find in most desserts nowadays. So, what’s your favorite cake? 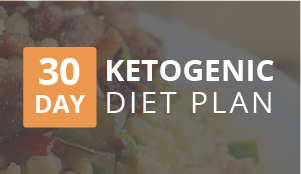 If you share with us in the comments below, I’d be happy to try to make a keto rendition of you favorites! 1. 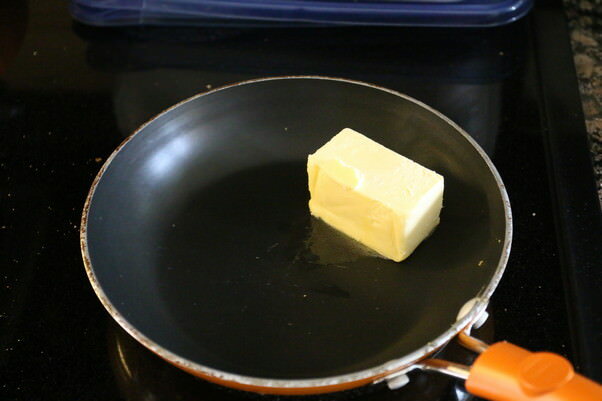 Start by putting your 1/3 cup of butter into a pan over medium heat. Preheat your oven to 350F. 2. 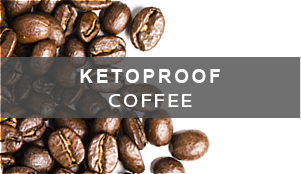 Grind 1/4 cup erythritol in a spice grinder until powdered completely. 3. 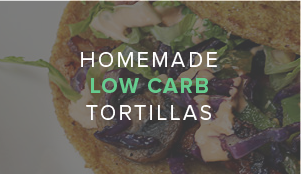 Add 1 1/2 cups Almond Flour, powdered Erythritol, 2 tbsp. 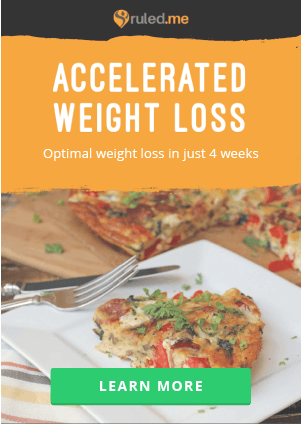 Psyllium Husk Powder, 2 tbsp. 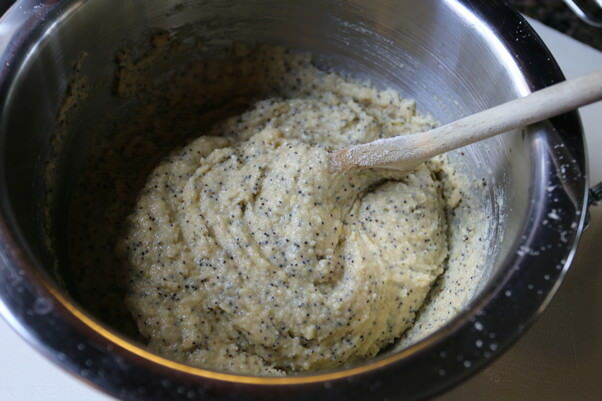 Poppy Seeds and 1 1/2 tsp. Baking Powder into a bowl. 4. 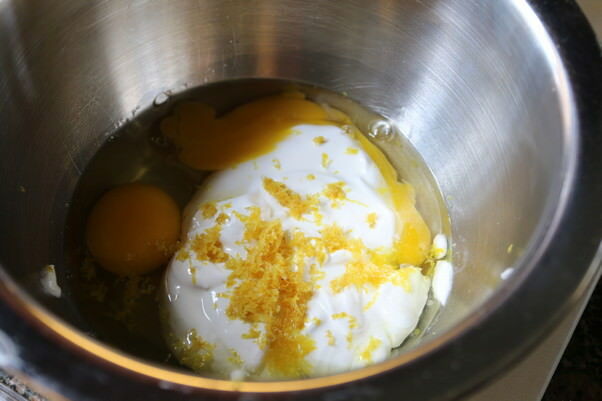 In a separate bowl, mix together 2 large Eggs, 1/2 cup Sour Cream, Zest of 1 Lemon, 1 tsp. Vanilla Extract and 1/4 tsp. Liquid Stevia. 5. Keep an eye on your butter until it browns, it should look a deep golden color. 6. 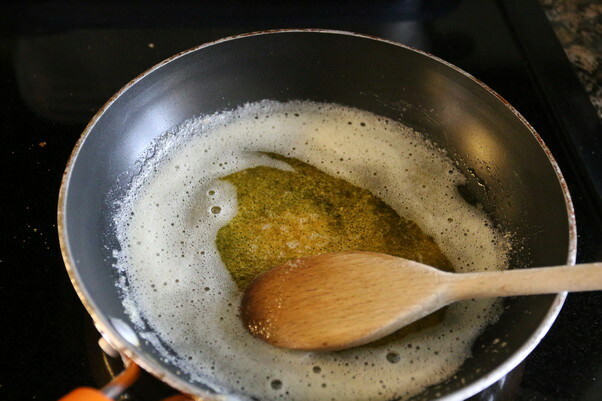 Slowly pour the browned butter into the wet ingredients while mixing with your spoon. 7. Add dry ingredients a little bit at a time while mixing until your batter forms. 8. 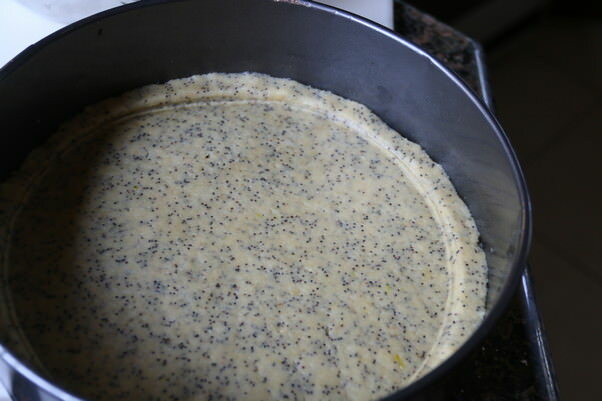 Grease a round cake pan (I used an 8 inch pan), then press your batter into the pan. 9. 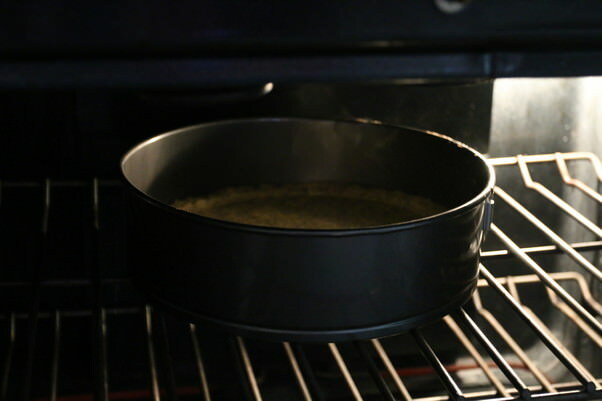 Bake for 20-25 minutes at 350F until the cake is golden brown on the top. 10. 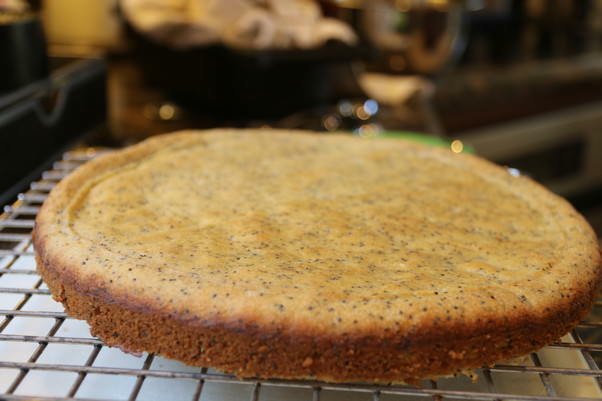 Let the cake cool slightly, then remove from the pan and let cool on a cooling rack. 11. Grind 1/2 cup erythritol in a spice grinder, then grind 1/2 cup Blackberries until a paste is formed (you can use a food processor for this, or your spice grinder if you immediately clean it out). Strain the paste into a separate container, making sure no seeds get through. 12. Add 2 tbsp. 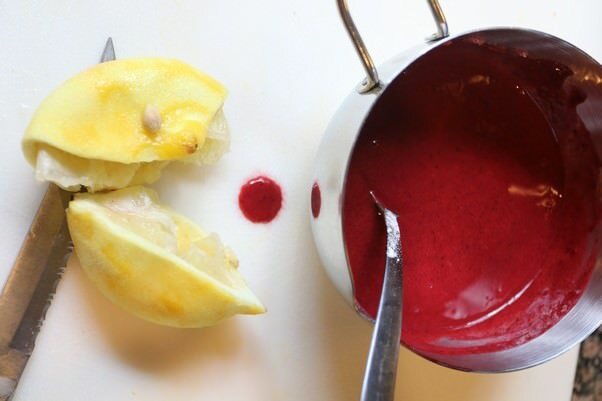 Lemon Juice and powdered Erythritol to the blackberry puree and mix together well. 13. In a separate bowl (or clean out one of the bowl you used earlier), beat together 6 tbsp. 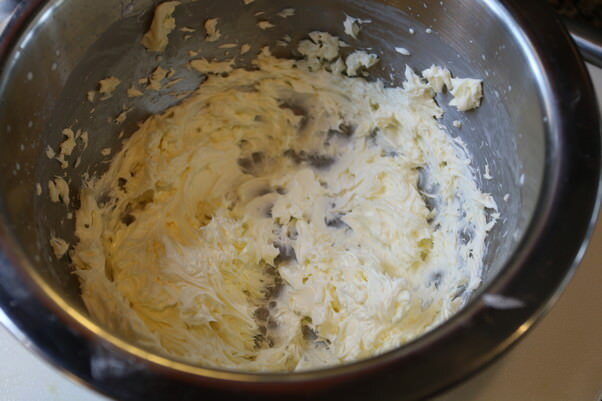 butter with 1/4 cup heavy cream using a hand mixer. 14. 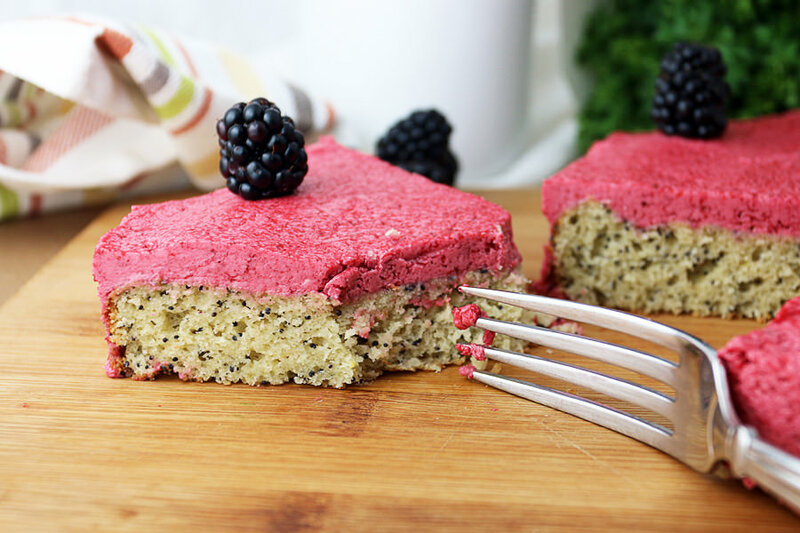 Slowly mix in the blackberry puree until a thick icing is formed. 15. Plop the icing on the cake and cover the entire cake, sides included. 16. 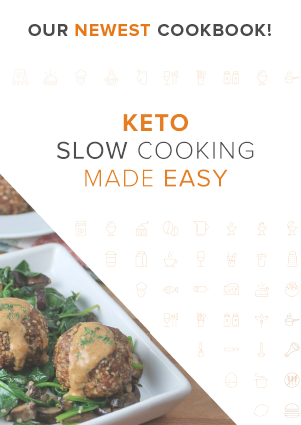 Place in the refrigerator for 20-30 minutes, then serve! This makes 8 total slices of cake, each slice being 361.13 Calories, 34.36g Fats, 4.65g Net Carbs, and 7.35g Protein. Add butter for cake to a pan and start browning it over medium-low heat. 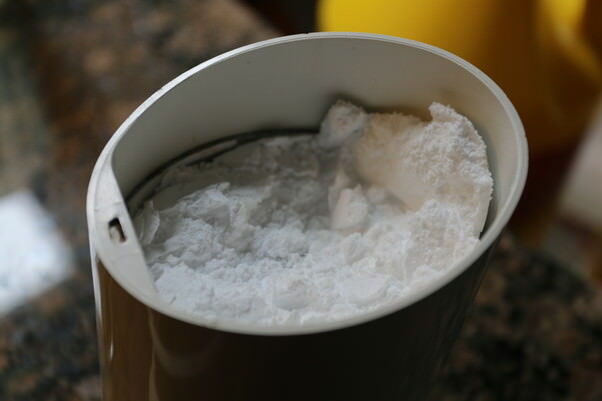 In a spice grinder, grind 1/4 cup erythritol into a powder. 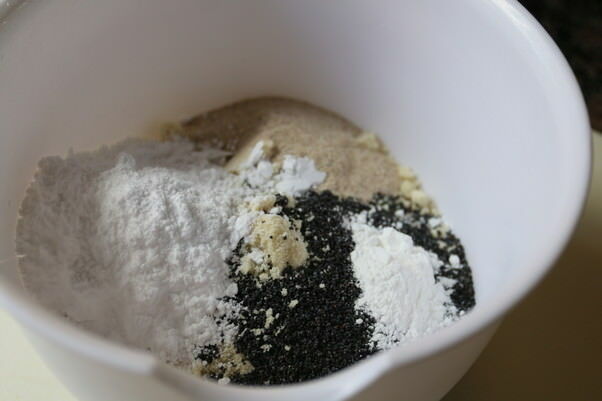 Add all dry ingredients to a bowl and mix together well. In a seperate bowl, add all wet ingredients into a bowl and mix. 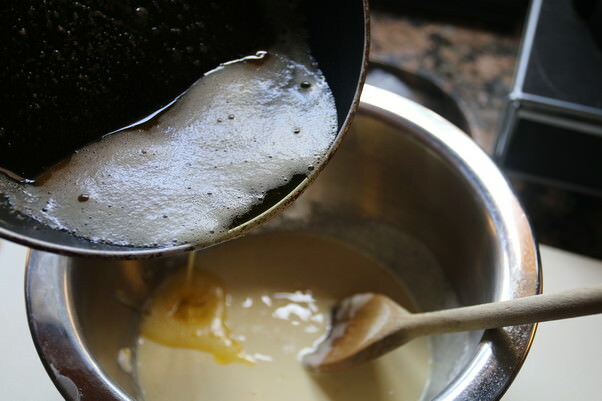 Once butter is browned, drizzle into the wet ingredients while mixing. Slowly add dry ingredients into wet ingredients, mixing well until a dough forms. 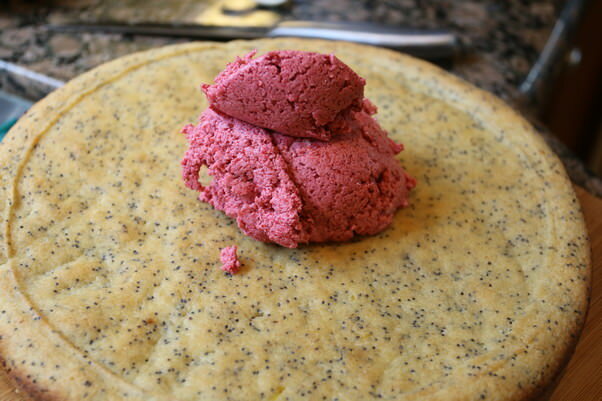 Press dough into a greased round cake pan and bake for 20-25 minutes at 350F. Remove from the oven, cool, and set on a cooling rack. Powder 1/2 cup erythritol in a spice grinder and set aside. 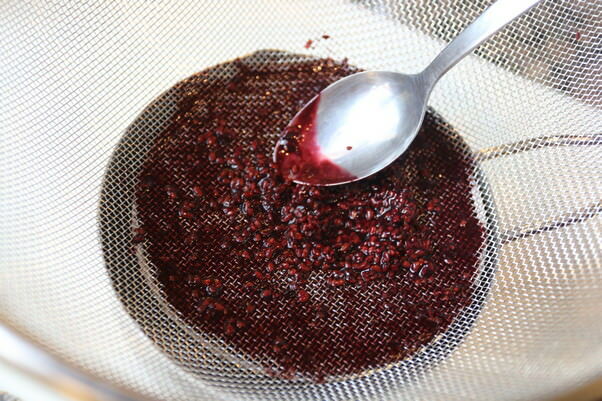 Puree the blackberries in a spice grinder or food processor and strain off the excess seeds. 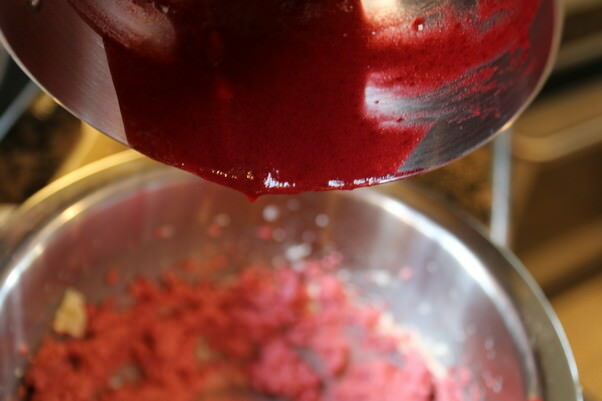 Add lemon juice and powdered erythritol into blackberry puree and mix well. Cream 6 tbsp. butter and heavy cream together, then slowly drizzle the blackberry puree into this until a thick icing has formed. Ice the cake and set in the fridge for 20-30 minutes.